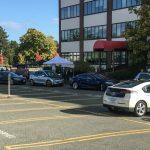 The DriveElectric Victoria event held Sunday, September 18, 2016 as part of National Drive Electric Week each year, was moderately successful in terms of “messages delivered”, with about 120 guests wandering around asking questions throughout the day. 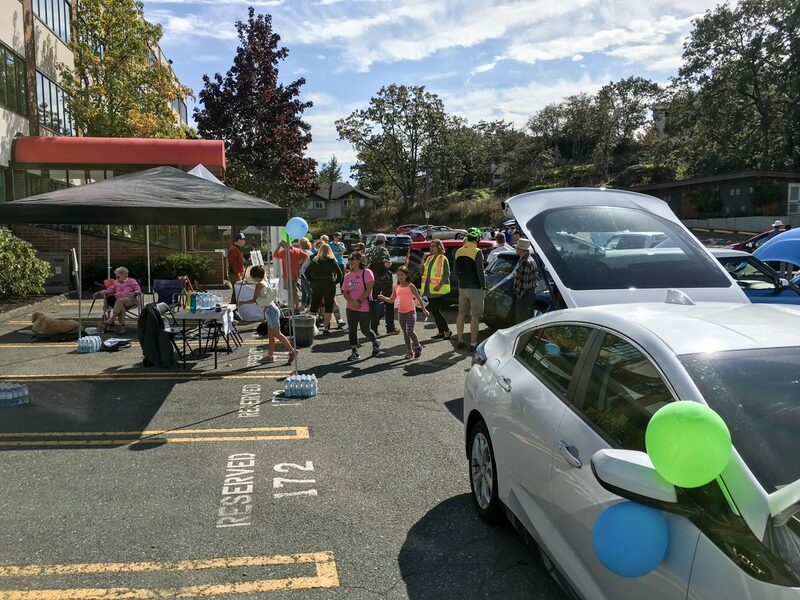 It was a huge success on the volunteer side, with 18 vehicles representing nearly all automakers: Nissan Leaf, Kia Soul, Tesla Model S, Smart EV, BMW i3, Chevy Volt, Mitsubishi i-MiEV, and a Toyota RAV4 EV. 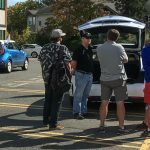 A big thank you to all the EV owners (and a few non-owners) who came out and volunteered their time to help educate people. 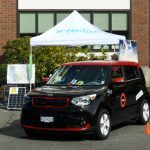 Thanks also to Charlotte & crew from Emotive who manned the registration tent and provided information on the bigger picture of EVs and related infrastructure in BC. Huge thanks to Jawl Properties for providing the venue. 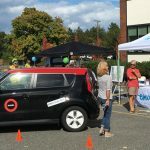 Relaxed, positive, friendly atmosphere, multiple guests commented on how informative the event was — in fact a few people stated that they were now convinced their next car would absolutely be an EV. 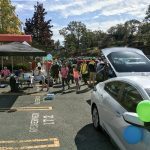 Two families came out specifically because they are in the market now for an EV and felt the event was extremely timely. Multiple guests commented on how much information they received in a non-intimidating way, what they termed was a “truthful environment” and appreciation being able to talk to actual owners. Weather was much better than last year!! 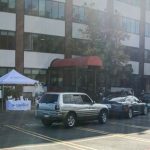 As a last-minute venue, the parking lot was great but since the address was difficult to see, some guests mentioned they had trouble figuring out exactly where to go. Really large signs near/at the entrance to the venue may help people find the location and perhaps even drag a few in from off the street; many guests mentioned they didn’t see the existing signs. It’s a difficult problem. 10am to 4pm seemed to be quite a long day for the volunteers, and we didn’t really get very many people before noon. Perhaps a more concentrated time would work better such as noon-4pm. Does anyone have any comments or vignettes to share beyond those above? Please share both highlights, and things that could be done better in the Comments below. If you have photos, please send them to our Webmaster. Hope to see everyone at next year’s event, and even sooner at all the other events and efforts we collectively support.